Established in the United States in 2010, Parapharma Tech’s early mission was to provide a healthier alternative thickening option to rice cereal for the pediatric community. While pediatricians still are recommending thickening infant milk with cereals for reflux management in the United States, the Centers for Disease Control and the American Academy of Pediatrics warn that early introduction to cereals increases a child’s risk to allergies and obesity, in addition to severely displacing the natural diet and causing excessive caloric intake. Parapharama Tech sought to bring to the United States a quality thickener, made with all natural ingredients that parents and pediatricians could trust. In partnership with pediatric gastroenterologist, Dr. Enrique Hernandez, we developed Gelmix Thickener with just three simple organic ingredients, all holding a long history of safe use with the pediatric population. 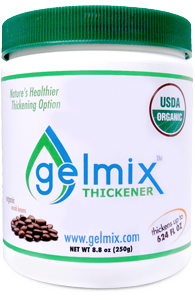 With great success, pediatricians increasingly recommend thickening with Gelmix Thickener over cereals. Not only is Gelmix USDA organic, it is free of common allergens, low calorie, and thickens infant milk without displacing the natural diet. It is the only USDA certified organic infant milk thickener specifically formulated for pediatric use in the United States. 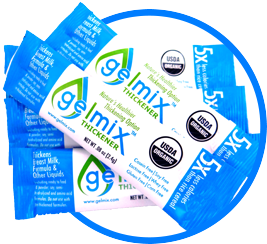 While we developed Gelmix Thickener to be safe for the pediatric community, the demand for healthier thickening options for all ages became increasingly apparent. Most commercial thickeners use ingredients that often cause digestive problems for many children and adults or they contain common allergens. Parpaharma Tech sought to provide the adult dysphagia community with a healthy USDA organic option, and launched Purathick in 2017. Purathick thickens hot and cold liquids easily for adults and children over 1 year old and has many of the same benefits of our brand for infants. Parapharma Tech strives to continue improvements in healthcare thickening technology to bring the best ingredients and thickening options to the United States.